Here I am wearing a casual look with a seasonal pattern: Tartan! I consider Plaid and Tartan as being the spicy pattern of the season. No matter if you wore it on a dress, a coat, or just on accessories like me in today's post, you can't deny its classic touch. 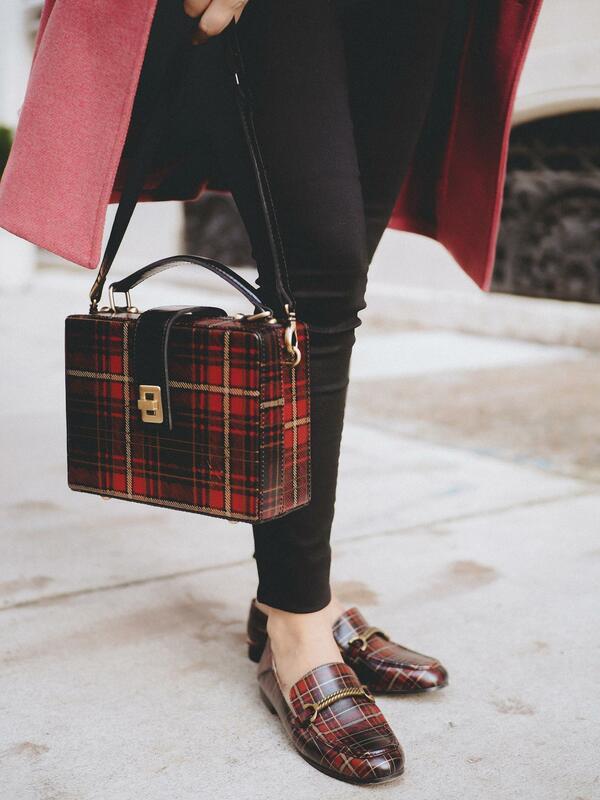 I personally love my leather bag and loafers (so very comfortable) from Patricia Nash Fall Collection and both of them are here to stay for many years!